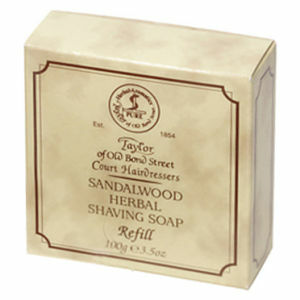 Rich and creamy, the Taylor of Old Bond Street Shaving Cream Sandalwood will nourish and protect your skin, so you can enjoy a close and comfortable shave. Forming a luxurious lather, the cream produces a protective barrier over your skin, allowing for improved razor glide and helping to shield your skin from burns, nicks and ingrown hairs. 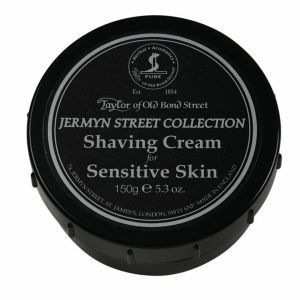 Boasting a deep and masculine fragrance, this hydrating shaving cream will not only keep your skin feeling soft and supple, it will also leave it delicately scented with an irresistible scent. - L.M.